The Pixelmator Team today released Pixelmator Pro, a brand new Mac app that redefines image editing on the Mac, providing professional-grade editing tools in an incredibly intuitive and accessible design. Pixelmator Pro 1.0, codenamed Whirlwind, includes a modern single-window interface, nondestructive, GPU-powered image editing tools, machine learning-enhanced editing features, and more. The modern, dark single-window interface of Pixelmator Pro has been created exclusively for working with images. A streamlined, macOS-inspired design provides a completely native Mac app experience and is fully consistent with the look and feel of macOS. And a reimagined, user-centered workflow design makes the professional editing tools in Pixelmator Pro especially accessible, even to first-time users. Completely nondestructive color adjustments, effects, styles, and layouting tools in Pixelmator Pro give users the freedom and flexibility to go back and modify or delete individual changes at any point in the editing workflow. Thanks to the new presets feature, you can create endless combinations of multiple adjustments, effects, or styles, save them to your favorites and reuse them in any of your images. Drag-and-drop sharing also makes it a breeze to share presets with others. Pixelmator Pro pushes the boundaries of image editing, using breakthrough machine learning to deliver more intelligent editing tools and features. Integrated via the new, blazing fast Core ML framework, machine learning lets Pixelmator Pro detect and understand various features within images, bringing a number of groundbreaking advancements, such as jaw-droppingly accurate automatic layer naming, automatic horizon detection, stunningly realistic object removal, and intelligent quick selections. 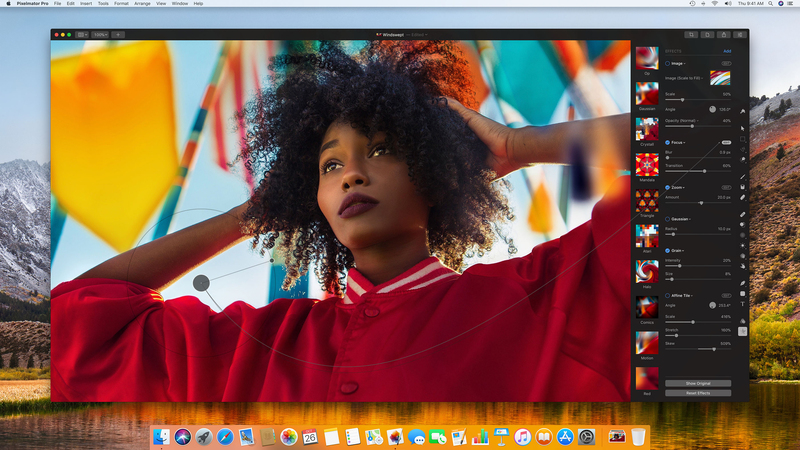 Designed exclusively for the Mac, Pixelmator Pro uses the Mac graphics processor in tandem with the latest Mac graphics technologies, such as Metal 2, Core Image, and OpenGL, to deliver blistering fast, GPU-powered image editing. Built with Swift 4, Pixelmator Pro is a next-generation app that takes full advantage of the latest technological innovations in hardware and software. The Pixelmator Team has packed a wide range of features and innovations into Pixelmator Pro, such as full RAW support, including support for multiple RAW layers; HEIF file format compatibility; superior support for Adobe Photoshop images; complete macOS integration via full support for iCloud, Versions, Tabs, Full Screen, Split View, Sharing, Wide Color, and others; Metal 2-powered painting tools and dual texture brushes; powerful retouching, reshaping, selecting, type, shape and vector tools; and a lot more. In addition, a number of free updates adding major new features to Pixelmator Pro are already lined up for the very near future. Pixelmator Pro 1.0 Whirlwind is available exclusively from the Mac App Store for $59.99. Pixelmator Pro requires macOS High Sierra and a Metal-compatible graphics card. Full system requirements and more information on Pixelmator Pro can be found at www.pixelmator.com/pro/. Site (s) Pixelmator (s) needs a page to compare "Pixelmator" and "Pixelmator Pro". You have a nice sales hype going, but factually every native and third party description of the two products (both always updated and thus 'new') is simply pasting content from prior "Pixelmator" descriptions into 'new' "Pixelmator Pro" descriptions. 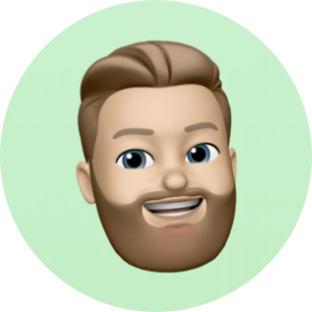 More dignity for all the Pixelmator (s) Team (s), please (s). Industry standard comparison would include a table with two side-by-side columns, comparing specs, performance and features of the two apps. If we are factually simply upping the price of Pixelmator to make it a quid-pro-quo equal to say (over-priced) Affinity, then say so, "We at Pixelmator feel it is time to up our price for a most excellent product!" Right now you look exactly like U.S. embarrassment mister Trump inviting the press and then jumping on top of a reporter and pounding his face into mush in front of global media (on the way to his current arrest and impeachment step 1 of 3) on his way to incite war in Jerusalem and calling all resource markets not white and European "shithole" as loud as he can. Pixelmator is looking that bad, selling air and threatening abandonment and extortion. However, on the very brilliantly bright side of things, "Pixelmator" has not crashed for a month now. Something to do with Ajax and APFS in the SIP frameworks for non-native API support. We don't need those sort of CRITICAL technical details, illustrating how you diligently stay on top of technology. We just need the Industry Standard Comparison Table. Get serious! Eh, I personally don't like comparison tables. They're a real "Windows" way of looking at tools — that tools are just the sum of their list of features, and should be evaluated and purchased as such. Instead, I believe tools are the product of the tangible features and the intangible systemic / holistic design decisions that underly them. That latter half is super important if you'll be putting in hundreds or thousands of hours learning and using tool, and you can't capture it with a bullet list. You can articulate it with blog posts that talk about the goals of a project, so I'm glad that the Pixelmator team offer these sorts of thoughts front and center.